According to In-stat, nearly 31 Million Business IP Phones will ship in 2012. 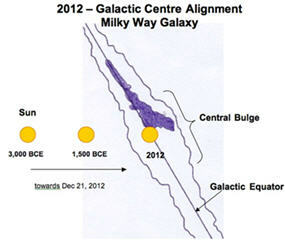 That's if the Mayan 2012 Doomsday Prophecy doesn't come to pass. You know, the one where the Mayan calendar ends on December 21st, 2012 - the same date as the Winter Solstice and when the Earth will be in galactic alignment with the massive black hole at the center of our galaxy, as well as our sun, resulting in a planetary shift. The date 12-21-12 reads as, A-B-B-A-A-B. Since the Hebrew language is read from right to left, this date would read BA ABBA. The Hebrew translation for BA ABBA is "Father comes" or "Father is coming". If you believe in that sort of thing. Here's a History Channel clip about 2012 that might bring out the conspiracy/doomsday nut inside you. Anyway, In-stat explains, "Within the business market, corded IP phones remain the standard, and will continue to dominate the enterprise IP phone market through 2012," says Norm Bogen, In-Stat analyst. "However, WLAN and IP DECT phones continue to grow, especially within some specific vertical and geographical markets." Cisco, Avaya, and Nortel are leading the market for enterprise IP phones. Wi-Fi integration in cellular phones is growing rapidly; however, the majority of Wi-Fi/cellular phones are not designed for VoIP. The In-stat report points out that the IP phone market is "a tale of two markets" with IP phones thriving in business but as for the home consumer, not so much. By 2012, 31 million voice-centric business IP phones will ship but the consumer side will be outpaced by businesses more than 10 to 1. Why the slow consumer adoption of IP phones? According to In-stat, "the nascent consumer market for voice-centric IP phones is being subjugated by the introduction of IP media phones, such as the Verizon Hub and AT&T HomeManager that support both IP communications, as well as delivery of Internet information and multimedia content." I think they're a little premature in that statement. The Verizon Hub is a cool device, but it literally just came out, so it is not affecting consumers from buying IP phones at home. I think the reason is that consumers are happy with their home cordless phones with built-in answering machines. Some even have the multi-handset cordless phone systems, which allow you to strategically place handsets around the house with the ability to screen callers and remotely check the answering machine without going to the base unit. There just isn't a good reason to purchase a $150-$300 corded/desktop IP phone for the home. You could argue that a Wi-Fi phone might be a good option for the consumer. Wi-Fi phones are less expensive than desktop IP phones, they're mobile, and they can get you cheaper or even free calling (i.e. Skype-to-Skype calls). But Wi-Fi phones have notoriously bad battery life. 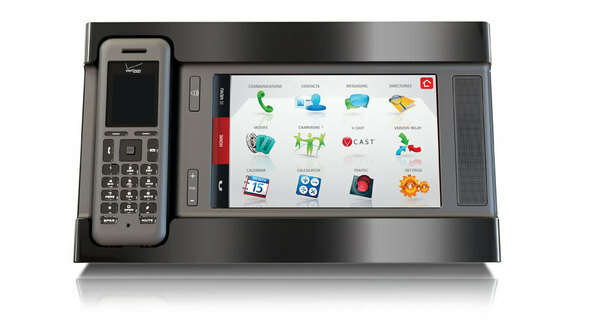 A better option in my opinion is a DECT 6.0 phone device with VoIP capabilities, such as the Philips VOIP841 Skype phone. Although there are other WiFi and DECT phones worth a look. I should point out that Wi-Fi phones have the advantage over DECT of sometimes offering a built-in browser so you can access the web. The media phone is a new category of broadband device that combines the power of the PC with the performance of a telephone. The result is an always-on multimedia broadband device that is perfect for accessing online news and weather, viewing videos, and a host of other applications. In-Stat believes that the media phone will complement the PC, TV, and mobile handset, becoming an indispensable 4th screen in the home. Service providers and IP PBX vendors, alike, are introducing media phones because they add value to traditional voice telephones and related services. I certainly agree that consumers will start to adopt "media phones" in their homes, but only if the media phones are subsidized by the carrier. They'll be too expensive otherwise. It worked for the cell phone market, so it can work for the home as well. There have been plenty of times I wanted to check the weather or current movie times, but had to boot up my PC in order to look up information. Having a media phone in the living room with instant Internet access is a nice feature to have. I do agree with the In-stat report that businesses will continue to be the main driver behind IP phone sales, but I wouldn't be surprised to see traditional phone manufacturers such as Uniden developing cordless IP phones for the home market that offer Internet access. You can download a free copy of In-Stat's media phone research report: The Media Phone Has Arrived! According to In-stat, nearly 31 Million Business IP Phones will ship in 2012. That's if the Mayan 2012 Doomsday Prophecy doesn't come to pass. You know, the one where the Mayan calendar ends on December 21st, 2012 - the same date as the Winter Solstice and when the Earth will be in galactic alignment with the massive black hole at the center of our galaxy, as well as our sun, resulting in a planetary shift. The date 12-21-12 reads as, A-B-B-A-A-B. Since the Hebrew language is read from right to left, this date would read BA ABBA. The Hebrew translation for BA ABBA is \"Father comes\" or \"Father is coming\". If you believe in that sort of thing. Here's a History Channel clip about 2012 that might bring out the conspiracy/doomsday nut inside you. Anyway, In-stat explains, \"Within the business market, corded IP phones remain the standard, and will continue to dominate the enterprise IP phone market through 2012,\" says Norm Bogen, In-Stat analyst. \"However, WLAN and IP DECT phones continue to grow, especially within some specific vertical and geographical markets.\"
The In-stat report points out that the IP phone market is \"a tale of two markets\" with IP phones thriving in business but as for the home consumer, not so much. By 2012, 31 million voice-centric business IP phones will ship but the consumer side will be outpaced by businesses more than 10 to 1. Why the slow consumer adoption of IP phones? 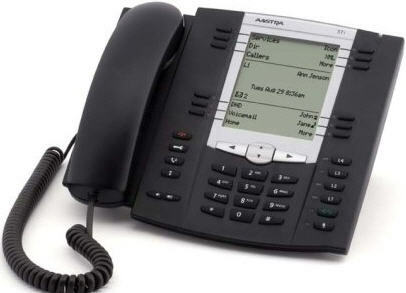 According to In-stat, \"the nascent consumer market for voice-centric IP phones is being subjugated by the introduction of IP media phones, such as the Verizon Hub and AT&T HomeManager that support both IP communications, as well as delivery of Internet information and multimedia content.\"
I think they're a little premature in that statement. The Verizon Hub is a cool device, but it literally just came out, so it is not affecting consumers from buying IP phones at home. I think the reason is that consumers are happy with their home cordless phones with built-in answering machines. Some even have the multi-handset cordless phone systems, which allow you to strategically place handsets around the house with the ability to screen callers and remotely check the answering machine without going to the base unit. There just isn't a good reason to purchase a \$150-\$300 corded/desktop IP phone for the home. 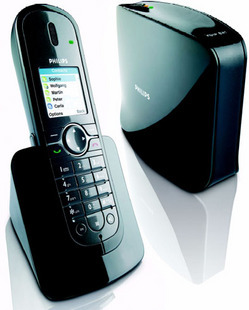 DECT 6.0 phone device with VoIP capabilities, such as the Philips VOIP841 Skype phone. Although there are other WiFi and DECT phones worth a look. I should point out that Wi-Fi phones have the advantage over DECT of sometimes offering a built-in browser so you can access the web. I certainly agree that consumers will start to adopt \"media phones\" in their homes, but only if the media phones are subsidized by the carrier. They'll be too expensive otherwise. It worked for the cell phone market, so it can work for the home as well. There have been plenty of times I wanted to check the weather or current movie times, but had to boot up my PC in order to look up information. Having a media phone in the living room with instant Internet access is a nice feature to have. I do agree with the In-stat report that businesses will continue to be the main driver behind IP phone sales, but I wouldn't be surprised to see traditional phone manufacturers such as Uniden developing cordless IP phones for the home market that offer Internet access.